Thanks for the improvements ZvezdanD! Thanks for this addon. 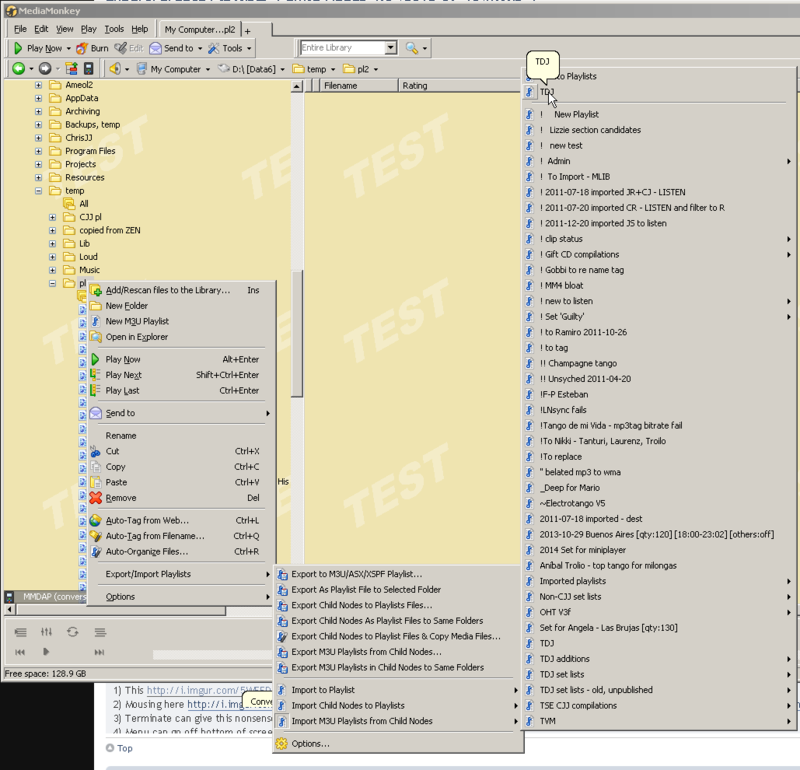 I needed to export my playlists from MM with 'absolute' paths so I could import the playlists into other programs. The builtin export function of MM does not accomplish this, but using this addon and unchecking the 'relative' path option produced exactly what I needed. Thank you for this addon! and of course this only is working on devices which have a drive called "A"
can anybody help me with the right setting? To get such paths you should turn on the Relative and Unix options, also you need to export M3U files to the same drive with media files (otherwise the relative paths cannot be determined). If you still have problem, please post the screenshot of the Options dialog with Export/Create Playlists settings. Are you sure you are exporting from the addon, and not the built in right click menu? I don't recall having to make any changes in the addon for it to correctly export and include the path to my drive. For example, instead of preceding each file path with '../' like you show, the addon actually adds the path. For me, instead of '../' I actually get 'd:\Music\song_name.mp3'. The addon will be listed lower and separately in your right click menu and should be called Export/Create playlists. EDIT: Sorry, my error. Options had '[x] Unavailable'. Though I would have expected to get empty M3Us not absent ones. 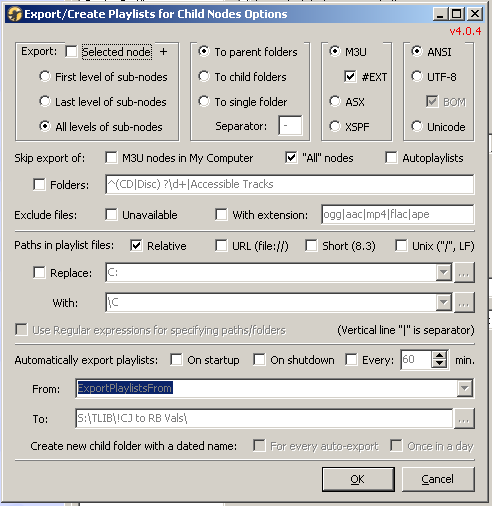 Suggestion: in this thread Subject, correct the name of the script to "Export M3Us/Create Playlists for Child Nodes" or better, update it to the new name "Export/Create Playlists". I am trying to export a playlist tree to M3U and import back to MM. I've tried (version http://i.imgur.com/bvAqfcw.png ) ... and cannot find the command to import M3Us from folders. 1) This http://i.imgur.com/5WEFD4y.png does not ask for the disc location, and does nothing. 2) Mousing here http://i.imgur.com/tDohZQs.png gives this error http://i.imgur.com/eN8p0cM.png . Same from Options command http://i.imgur.com/K7GLlcT.png . 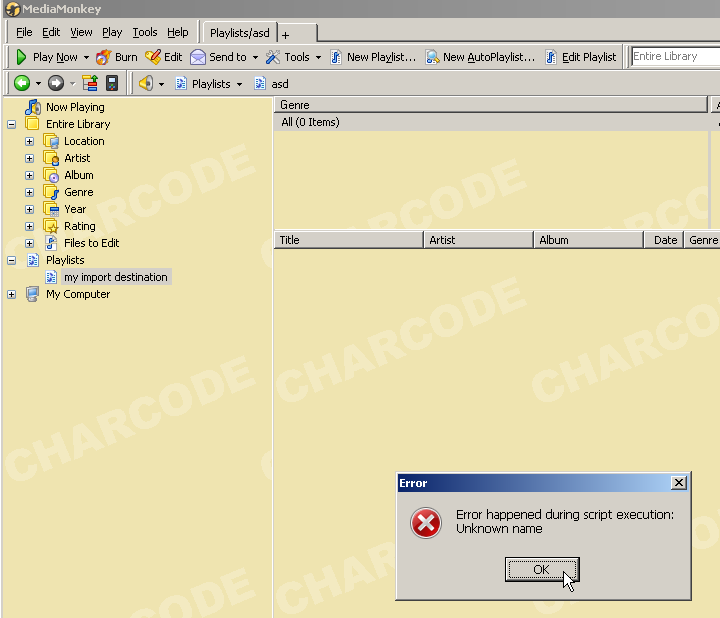 chrisjj wrote: I am trying to export a playlist tree to M3U and import back to MM. First of all, you need to turn on the option "Show M3U playlists in My Computer nodes" on the Appearance page of the Options dialog box if it is unchecked. Then you should set accordingly the related options on the Export/Import Playlists page in the Options dialog box. For example, you should choose the "All level of sub-nodes" option if you want to import M3U files that are located in the nested folders, also turn on the "to nested folders/playlists" option for the same reason. 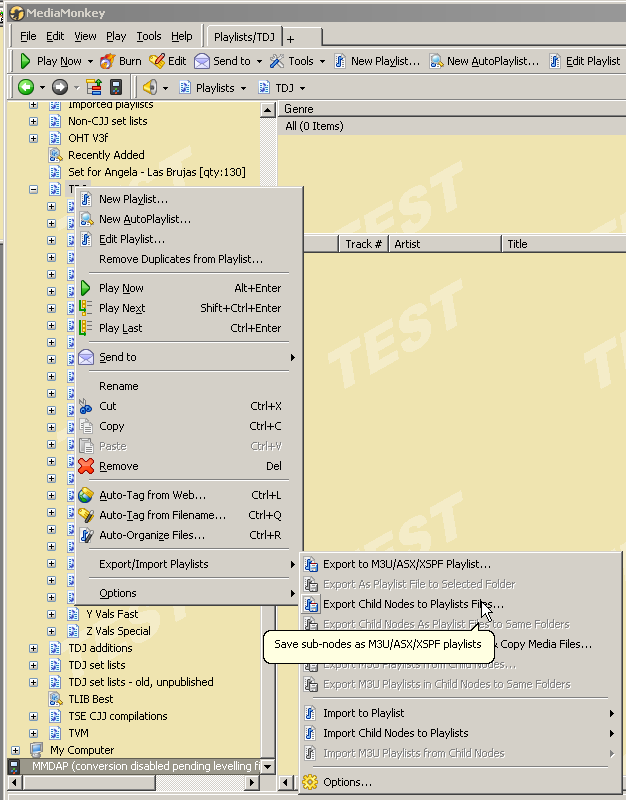 If you have all M3U playlists stored in a single folder with playlist levels represented in names of M3U files separated with the specified separator, then you should turn on the "Split" option as well. For example, the "Rock - Pink Floyd - Dark Side of the Moon.m3u" playlist file could be parsed using " - " separator to "Rock" playlist with "Pink Floyd" sub-playlist and "Dark Side of the Moon" sub-sub-playlist. then you should specify these two paths in the "Replace:" and "With:" text boxes. If files physically exist at the newly specified location, then their tags will be entered correctly to the Library after import, otherwise you will get empty records with the Path information only. 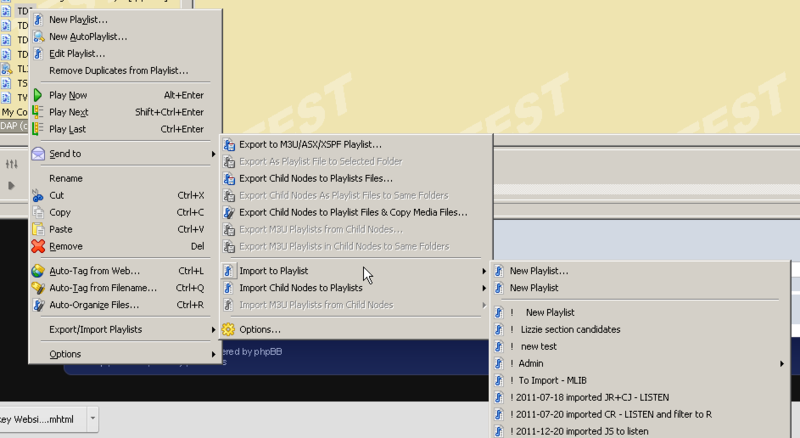 After according settings in the Options dialog box you should right-click the folder from My Computer branch of the Media Tree that contains your M3U files, choose <i>Export/Import Playlists / Import M3U Files for Child Nodes</i> and select the playlist node where you want to put your imported playlists (if you want to put them directly on the first level of the Playlists node then you choose "Add to Playlists"). 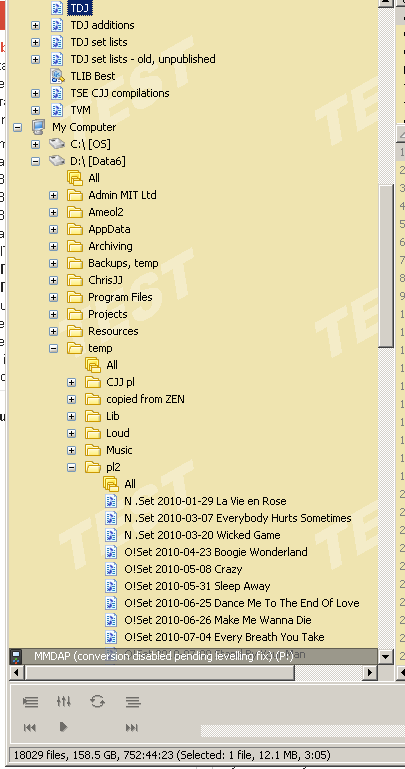 If it is still unclear, here is the main thing "you should right-click the folder from My Computer branch of the Media Tree that contains your M3U files". From your screenshot (http://i.imgur.com/DxcgrUj.png) I see that you have selected node in the Playlists branch, but not folder in the My Computer branch that contains your M3U files. In another words, you should select the source node in the Media Tree, but not the destination node. The destination node, i.e. 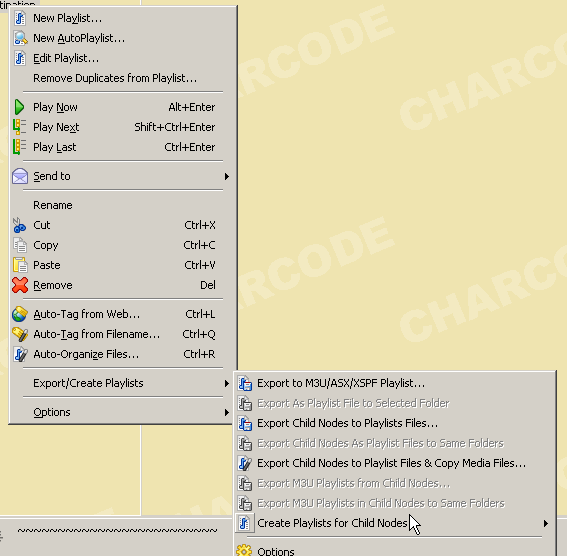 the destination playlist you should choose from the sub-menu of the "Import M3U Files for Child Nodes" menu. From your screenshots after the "To be clear, I do this:" I could conclude that you have installed both "Export/Create Playlists" and "Export/Import Playlists" which cause conflict with the menu as well. There is no way that I could know which command you actually tried - from the old or from the new script. Please try all again after uninstalling of the "Export/Create Playlist" version. Yes, I am aware of that. Unfortunately, it cannot be resolved since it is not my fault, but MM API. If you collapse and expand that menu it will show all items correctly. I'd assumed it was interesting to other users of that version. If there's a different public place to discuss it, please do say. 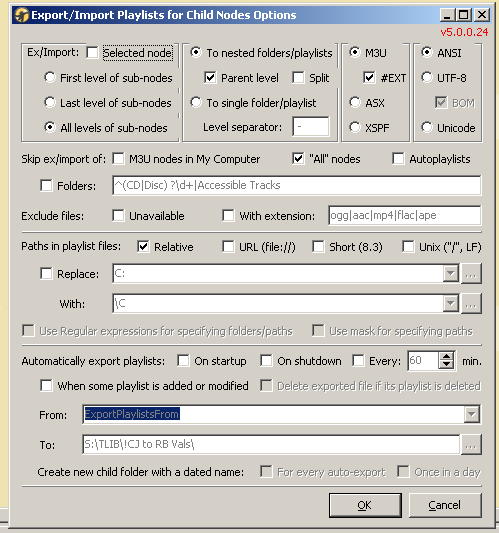 First of all, you need to turn on the option "Show M3U playlists in My Computer nodes" on the Appearance page of the Options dialog box if it is unchecked. 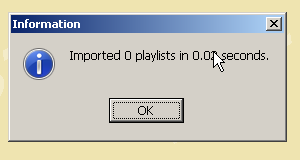 Then you should set accordingly the related options on the Export/Import Playlists page in the Options dialog box. For example, you should choose the "All level of sub-nodes" option if you want to import M3U files that are located in the nested folders, also turn on the "to nested folders/playlists" option for the same reason. I see no such command http://i.imgur.com/LrioN6Q.png . I see "Import M3U Playlists from Child Nodes", and despite that's not AT ALL what I want to do, I'm trying it. Done. The import reported http://i.imgur.com/fAt859Q.png. After hijacking the UI for the duration. I think that should be remedied. Result: nesting failure http://i.imgur.com/IbtJvdm.png . But Oops I examined the Options and OKed, which caused http://i.imgur.com/HMCOjG0.png and termination. From your screenshot (http://i.imgur.com/DxcgrUj.png) I see that you have selected node in the Playlists branch, but not folder in the My Computer branch that contains your M3U files. In another words, you should select the source node in the Media Tree, but not the destination node. OK, got it. I'd guessed wrong. From your screenshots after the "To be clear, I do this:" I could conclude that you have installed both "Export/Create Playlists" and "Export/Import Playlists"
I think not. http://i.imgur.com/kdborBq.png . But I could be wrong. I am getting confused by the names of these scripts. I don't even know which new name refers to a new version of an old script under a different name. Please try all again after uninstalling of the "Export/Create Playlist" version. chrisjj wrote: I see no such command http://i.imgur.com/LrioN6Q.png . I see "Import M3U Playlists from Child Nodes", and despite that's not AT ALL what I want to do, I'm trying it. OK, sorry, it was my typo. 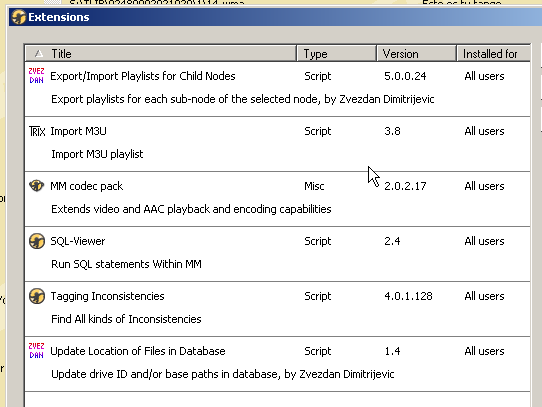 It should be written as you already guessed: "Import M3U Playlists from Child Nodes". And how is this not AT ALL what you want to do? 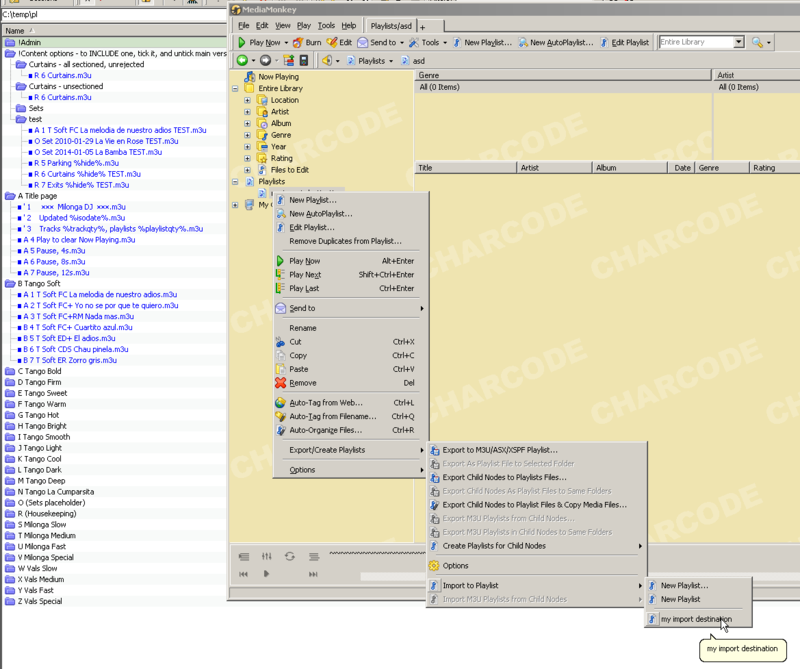 Do you want to import M3U playlists or not? What is a difference between "M3U files" and "M3U playlists"? chrisjj wrote: Result: nesting failure http://i.imgur.com/IbtJvdm.png . Sorry, but I cannot see from this screenshot what you got and what you expect. chrisjj wrote: But Oops I examined the Options and OKed, which caused http://i.imgur.com/HMCOjG0.png and termination.. I want to fix this bug, but I cannot reproduce it. Could you tell me what did you do exactly? Did you open the Options dialog box while the script was still doing import? I cannot follow you. Did you managed to get what you want or not? Sorry, I should have written "after the "Other points:"" instead of "after the "To be clear, I do this:"". 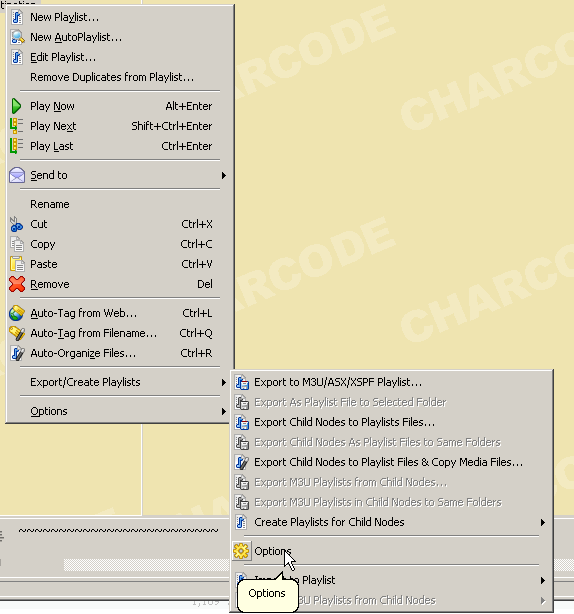 For example, in this screenshot http://i.imgur.com/5WEFD4y.png and this http://i.imgur.com/5WEFD4y.png and http://i.imgur.com/5WEFD4y.png you could see "Export/Create Playlists" in the menu and "Create Playlists for Child Nodes" sub-menu. 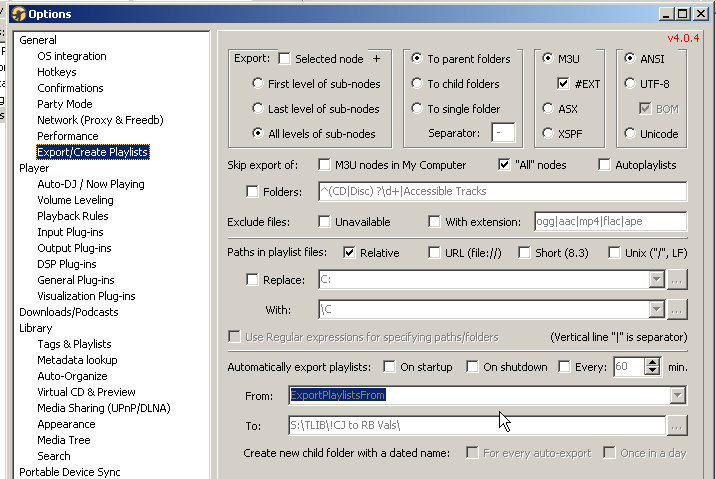 ZvezdanD wrote: "Import M3U Playlists from Child Nodes". And how is this not AT ALL what you want to do? I don't want to import from child nodes. 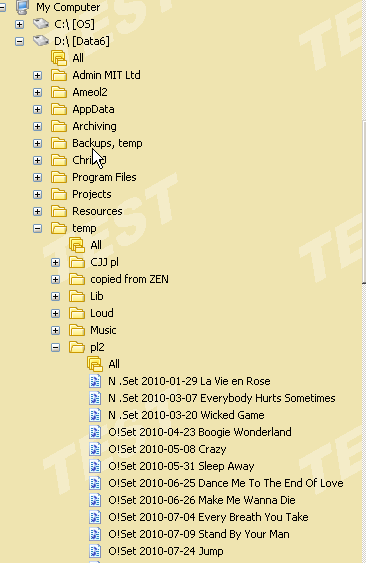 What I got was TDJ containing no playlists but 1000s of tracks. what I expected was TDJ containing dozens of playlists and no tracks, except in those playlists. Yes I did. Perhaps the effect depends on what the script was doing at that moment. I got your meaning. I didn't get the result I wanted. ZvezdanD wrote: in this screenshot http://i.imgur.com/5WEFD4y.png and this http://i.imgur.com/5WEFD4y.png and http://i.imgur.com/5WEFD4y.png you could see "Export/Create Playlists" in the menu and "Create Playlists for Child Nodes" sub-menu.